Where do you turn when your son gets kicked out of preschool? Unfortunately, that's a question I needed to answer. My five-year-old son, Alex, was an active, intense infant. I chalked it up to "boy energy." As he got older his behaviors grew, and he started hitting, fighting and becoming argumentative. Where do you turn when your son gets kicked out of preschool? Unfortunately, that's a question I needed to answer. My five-year-old son, Alex, was an active, intense infant. I chalked it up to "boy energy." As he got older his behaviors grew, and he started hitting, fighting and becoming argumentative. At his early childhood screening, a nurse referred us to an organization that provides mental health services where Alex was diagnosed with generalized anxiety disorder (GAD). A year later he was also diagnosed with attention deficit/hyperactivity disorder (ADHD). 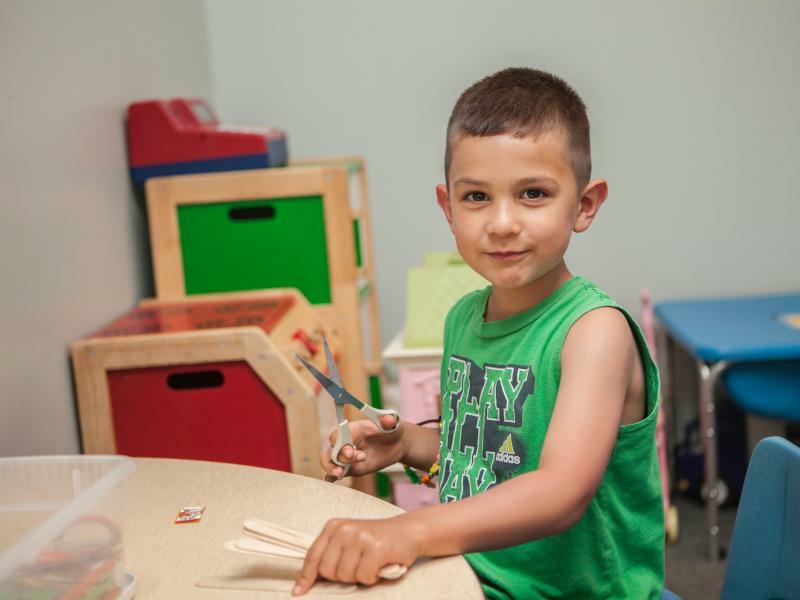 When his issues became too much for the preschool, we were informed they did not have the resources to care for him. I knew we needed more help. I was referred to Fraser by his therapist, and after researching, decided to set up an appointment. A Fraser therapist determined Alex would benefit from Fraser Mental Health Day Treatment. I found a preschool with an accepting environment that was able to accommodate Alex's needs. He now goes there in the morning and Fraser Mental Health Day Treatment in the afternoon. We've noticed a huge change in Alex's behaviors. The therapists give him the tools he needs to express his feelings and emotions.